Most children probably don't realize there was a time when women weren't allowed to play professional sports or when society frowned upon women taking part in athletics. That was before Babe Didrikson paved the way for female athletes. 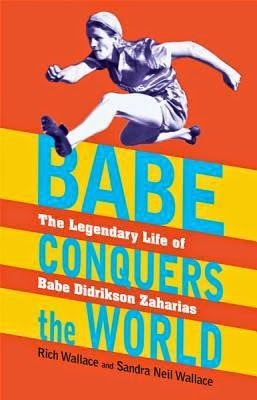 Middle grade and teen readers will be enthralled with the story of Babe Didrikson Zaharias's life in the biography, Babe Conquers the World. It is evident the Wallaces did a lot of research for this book. The details they uncovered about Babe's career as a basketball player, Olympic athlete, and amateur golfer will pull readers into the story and keep them engaged. The authors effectively weave quotes into the narrative as they describe the rise of Babe as an elite athlete at the beginning of the the 20th century. Babe faced many roadblocks along the way, but her determination, grit, and passion helped her break down barriers for herself and other women. However, the authors do not shy away from writing about Babe's flaws, including her difficulty in being part of a team. Black and white photographs and primary documents interspersed throughout the book give readers a view into Babe's life and into what life was like in the early 1900s. Back matter includes a glossary, timeline, frequently asked questions, source notes, and bibliography. Babe Conquers the World would make an exciting read aloud that could lead to rich discussions in the classroom or at home. 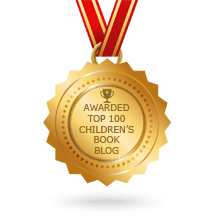 Readers who are inspired by Babe's story may also enjoy Amelia Lost by Candace Fleming, Wilma Unlimited by Kathleen Krull and Mermaid Queen by Shana Corey. 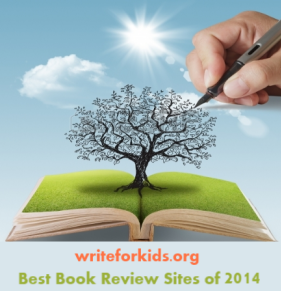 Be sure to read Sandra Neil Wallace's post on the Kidlit Celebrates Women's History Month blog.